It’s almost as if the author’s smug modern stance makes you doubt the veracity of his characterizations, doesn’t it? Then there’s this, later in the piece - a discussion on the rise of mascot marketing. But a radical shift in demographics came in 1936, thanks to a boy named Skippy. 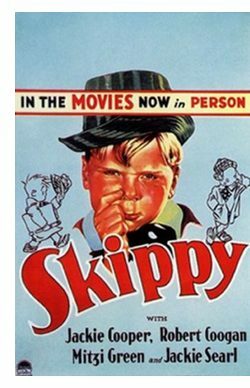 A Dennis the Menace type who frequently interrupted his adventures to extol the virtues of Wheaties, Skippy was the first cereal character directly marketed to children. As it turned out, kids ate him up, and cereal producers learned an important lesson: Children are suckers. Although he made a profound impression with millions of Americans, primarily through Skippy, the loveable and mischievous cartoon character who became a household word, Percy Crosby was unable to prevent retaliation by those who coveted control of Skippy for their commercial gain, and wanted him silenced. Percy Crosby was falsely imprisoned in a New York mental hospital for the last 16 years of his life, following years of harassment by the IRS. He referred to this period of his life as a "political witch hunt". During this time, Crosby's famous Skippy trademark and its valuable goodwill was pirated by a bankrupt peanut butter company, which later merged with a Fortune 500 company, making a fortune in illicit sales under the Skippy brand name. "Skippy" was first used as a trademark for peanut butter by the Rosefield Packing Co., Ltd., of Alameda, California, in 1933. Percy Crosby, creator of the "Skippy" comic strip, had the trademark invalidated in 1934, but Rosefield persisted after Crosby was committed to an insane asylum, and its successor companies, most recently Unilever and Hormel, have been granted rights to the trademark over the objection of Crosby's heirs. There has been much litigation on this point over the decades, some of which has continued into the 2000s. Skippy comes in many different sizes, including a 4-pound jar, known as the "Family Jar". The previous year, Crosby had begun drinking again, and his behavior became increasingly erratic. His marriage suffered, and after a violent episode in February 1939, Crosby left for Florida for two weeks. When he returned, repentant, his family had decamped, and his wife had filed for divorce. He never again saw his children, then aged five to nine. A devastated Crosby moved back to Manhattan and eventually entered Presbyterian Hospital for an extended stay for exhaustion and an infection. The man who created one of his era’s most beloved child characters ever saw his children again. It’s like the real Dennis the Menace story. The biography says he was declared a paranoid schizophrenic in ’49. He continued to write and draw, but nothing was ever published. Burnett was one of the earliest believers in motivational psychology and understood that colors appealed to kids and moms subliminally. When color TV became a reality, he persuaded Kellogg to use anthropomorphized cartoon animals as mascots. He thought animation would make for better, more colorful commercials. The first mascot they produced was Tony the Tiger, whose meteoric success was followed by hundreds of other cartoon icons. Tony was created in 1951. 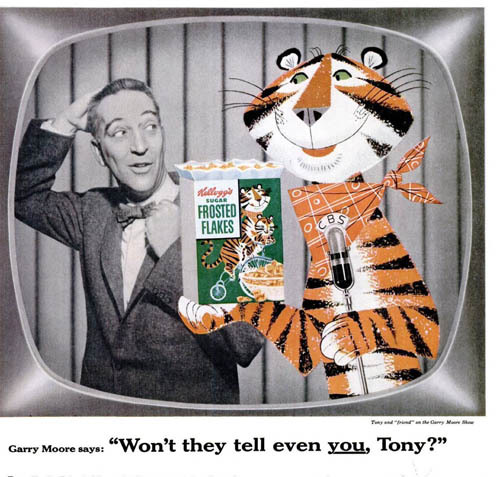 So if someone at lunch today says “you know, Tony the Tiger was invented because they wanted a mascot for color TV,” you’ll know they’ve been reading highly-compressed histories. 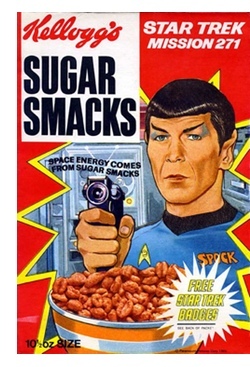 If you’re not properly horrified about the hijacking and the transforming, wander over to Mr. Breakfast and peruse the astonishing variety of cereal box art, and think back to your own childhood cereal experience. You thought you were enjoying that stuff. Hah! You were manipulated into thinking you were. The real-life Dennis was 12 in 1959 when his mother died of a drug overdose. . . . Dennis Ketcham served in Vietnam, suffered post-traumatic stress disorder and had little contact with his father. DASH CAM FOLLIES They’re calling him “Russia’s Drunkest Driver,” which is a category all by itself.